We are delighted to announce that ICG Homes has once again made the Custom Home Builders List compiled by Triangle Business Journal! This annual list is based on prior year sales results for both locally owned and national home builders. 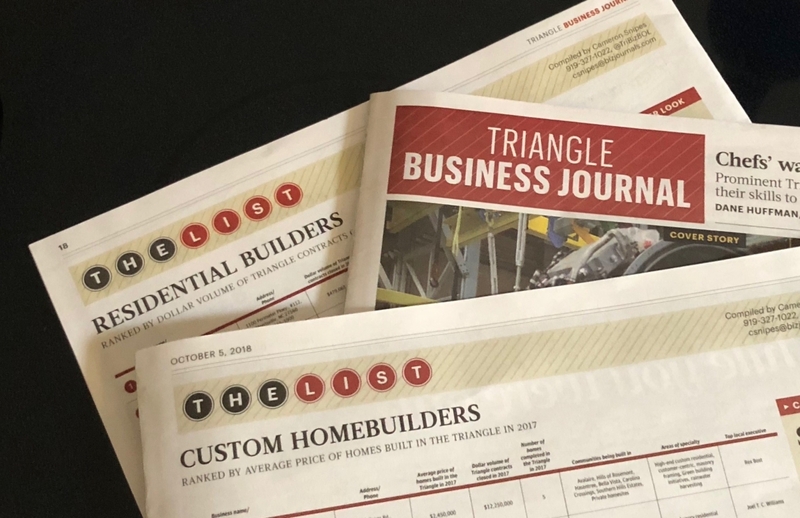 ICG not only moved up on the Custom Home Builders List, but “just missed” (as stated by Triangle Business Journal) the overall Residential Builders List. We sincerely thank our customers for allowing us this honor! Discover North Raleigh’s Montreaux Tour Our Parade Homes!